Barcelona have completed the signing of Arturo Vidal from Bayern Munich, signing a three-year deal for a reported fee of £26.7m. The Chilean midfielder was officially unveiled as a Barcelona player on Monday afternoon. Speaking at his first press conference as a Barcelona player, the powerful midfielder said he is "very happy to be joining Barça, the best team in the world." He added that he hopes to "help the coach to get the side working in the best possible way." 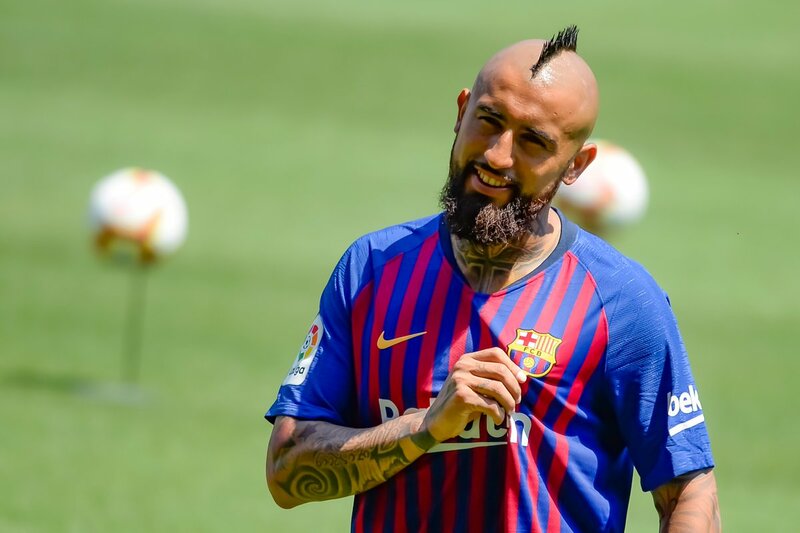 “I hope to help Messi and the team to overcome every challenge"
“I've come here to bring a lot of energy onto the pitch,” said Vidal, who acknowledged that he has some unfinished business in the Champions League to attend to at Barça. "Joining Barça is a step up for me. I will work hard to bring joy to the FC Barcelona fans," he concluded. It seems Barcelona have been able to replace Paulinho who returned to China after a brief spell at the Camp Nou, if he can stay fit, Vidal would be a better signing compared to the Brazillian and coach Valverde could get the best out of their new signing. Barcelona seems to have moved on from the tiki-taka era as they look to add firepower to their midfield rather than technical players in the mould of legendary Iniesta and Xavi.